Niagara Falls is a great destination spot for locals from both sides of the border especially for people who want to do some fun things for a weekend without having to travel too far out of town. The one thing you need to be cautious about is the limited time you have as you only have two days to do as much as you can. Planning and preparation is key for a great vacation on a time budget. 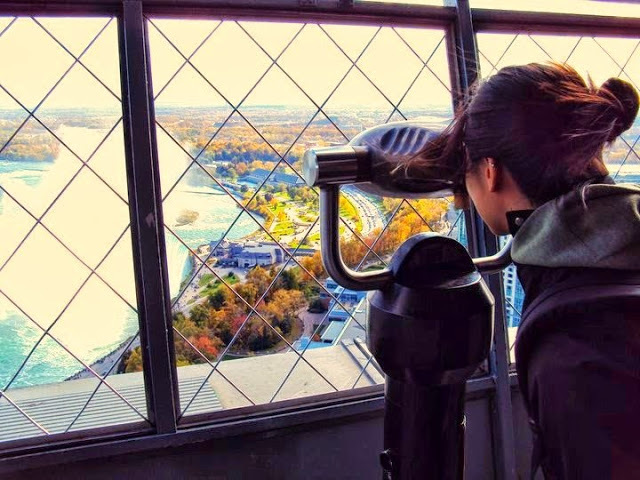 Here are some tips from the Skylon staff to help you with your Niagara Falls weekend vacation. Santa Claus checks his list twice and so should you, discuss with your family and loved one of what you need for the trip. Create a list of items and once you believe you have everything packed in your luggage go through the check list to make sure it’s all there. No one wants to drive half way and realized they forgot something important and have to drive back. 2. Arrange a rendezvous point. Picking up everybody from their workplace or at school is not a very effective method to head to Niagara Falls, especially if they all are at different locations. Set up a rendezvous point with the people you’re going with so you all get picked up at the same place at the same time to avoid unnecessary headaches and frustrations. If possible, bring your baggage to work or school to avoid having to have to ask to leave early to get your things from home before meeting everyone else at the rendezvous point. There are over 100+ Niagara Falls attractions, from wineries, to golf courses, to shows, to water parks. Have a discussion with the people you’re going with and list out the things you would like to do in Niagara Falls. Then either ask some friends and family who have been to Niagara Falls and see whether they recommend some of the attractions that are on your list. Then go on review sites such as Yelp and TripAdvisor and read the reviews of attractions you have an interest in going. Reaching out to those two resources should help you eliminate attractions that have more hype than substance. There are hotels that are a lot cheaper in Niagara Falls compared to the brand names, but don’t be fooled. Usually hotels that offer a cheaper rate are far from the popular attractions in Niagara Falls. Time is of the essence so choosing a hotel that’s near popular staples of Niagara Falls, such as Clifton Hill, Hornblower Niagara Cruises, Skylon Tower and the Falls itself will save you a lot of time driving or busing to these same destinations. Busy summer tourist season is over; however you always want to play it safe. If you’re planning to go to a popular restaurant for some enjoyable Niagara Falls dining make sure you reserve a table as you don’t want to be waiting 20-30 minutes for a table or leave to find a restaurant that wasn’t your first choice. To add another point it’s always good to go to attractions early in the morning as there won’t be any lineups so you can go have your fun without waiting and then move on to the next one. The above tips will help ease the planning of your Niagara Falls vacation, so leave work a bit early if possible, avoid rush hour and enjoy your much deserved weekend getaway in Niagara.